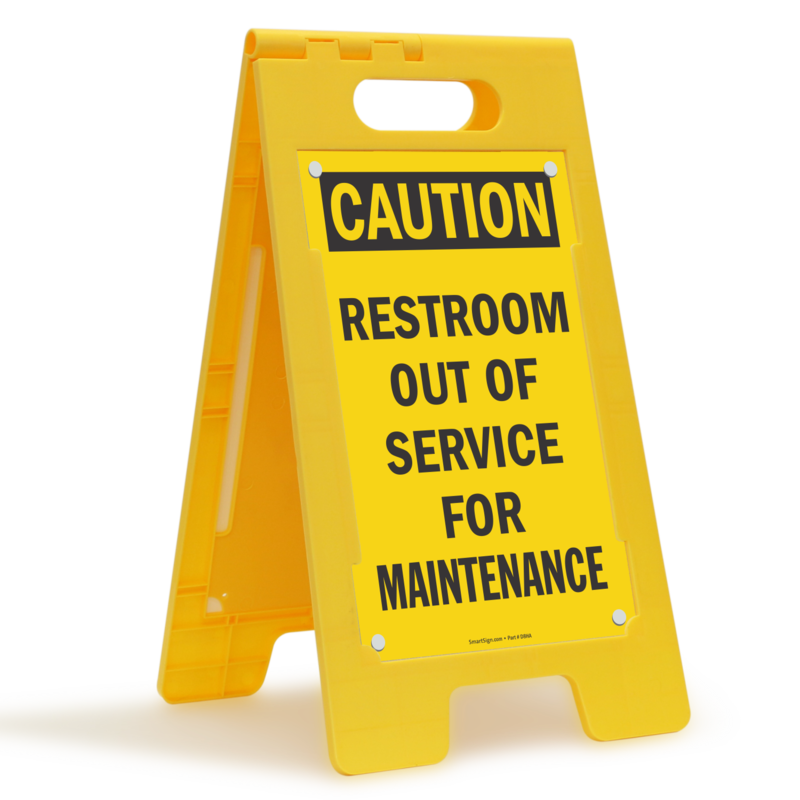 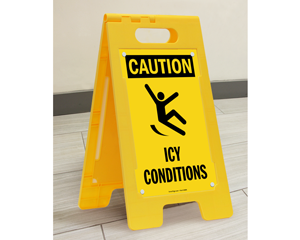 From icy floors to construction sites, post floor signs to keep visitors away from safety hazards. Great for industrial facilities to prevent accidents and protect employees. • Easy-grip handle with reinforced ribbing for extra strength. 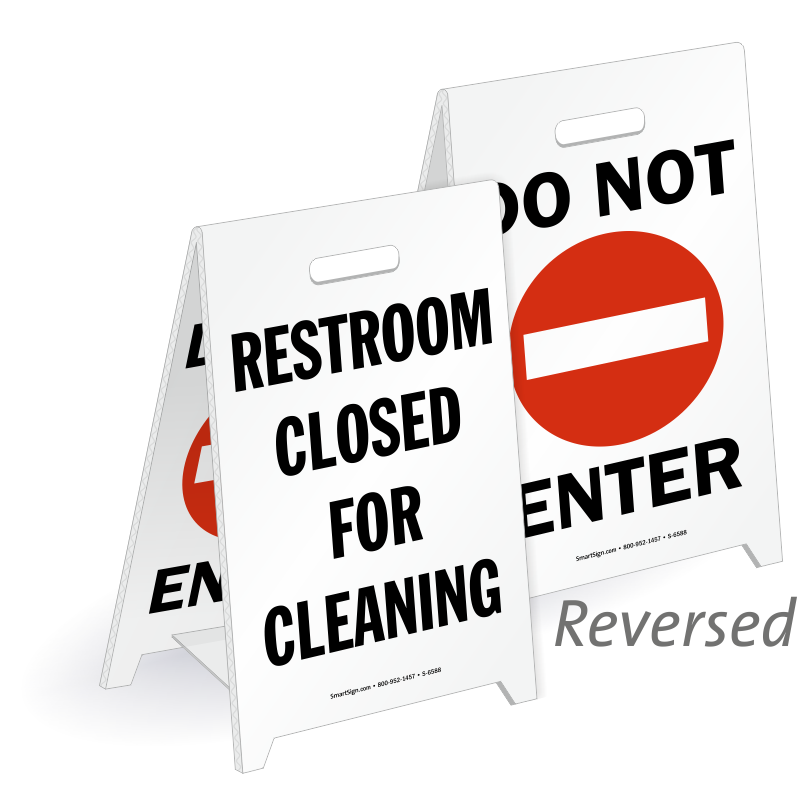 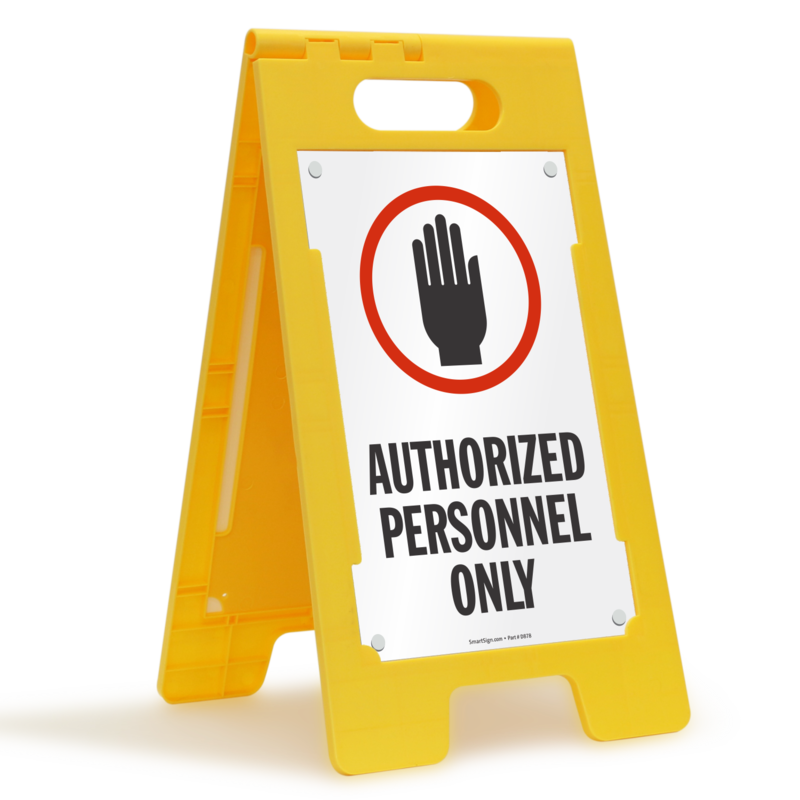 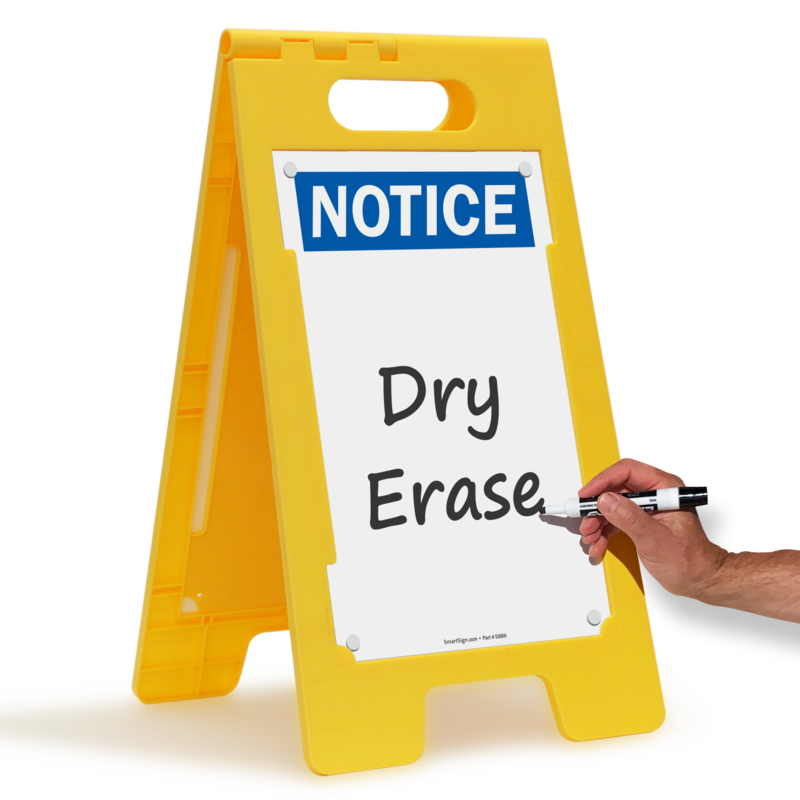 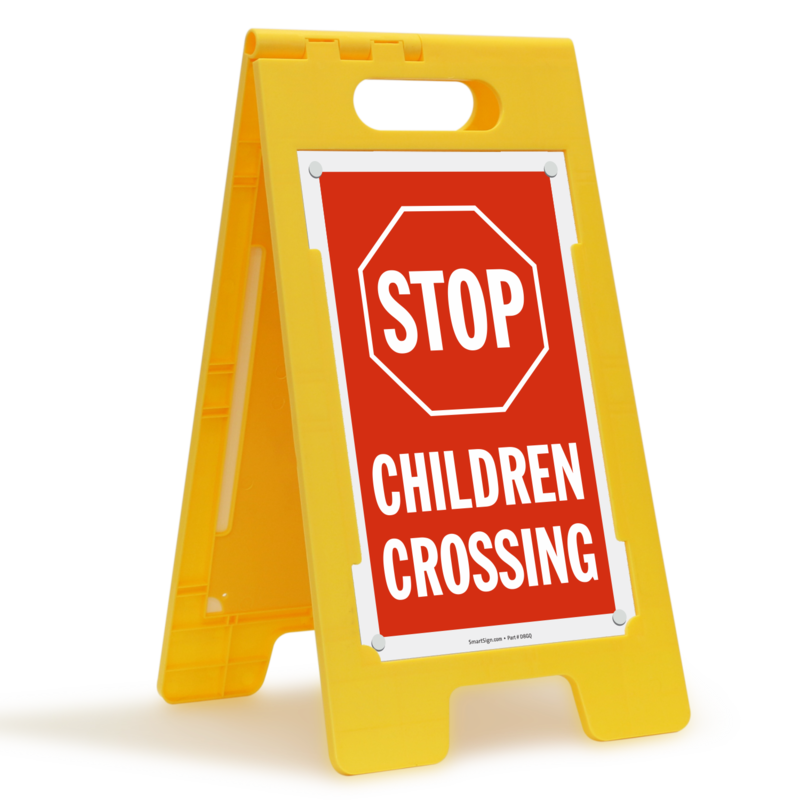 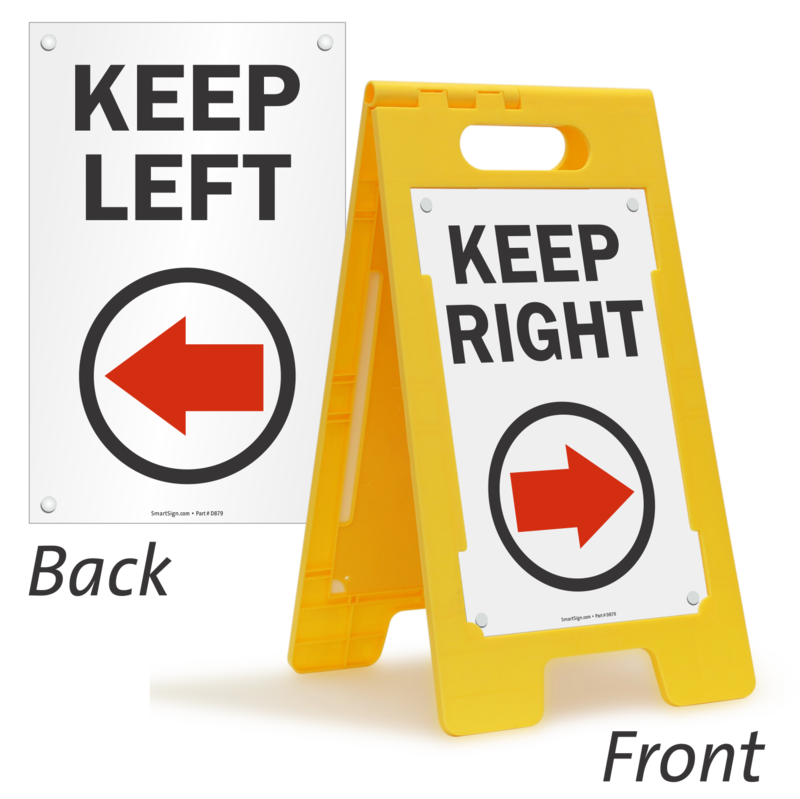 • Double-sided signs ensure that everyone will see your message, coming and going. 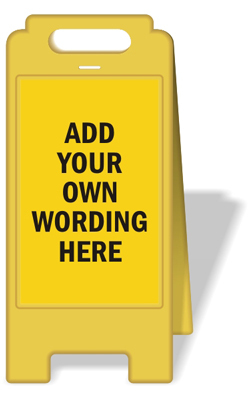 • Your vivid, durable messages won't fade away. Slipping around? 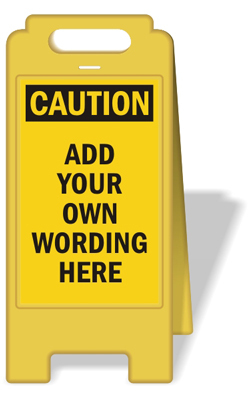 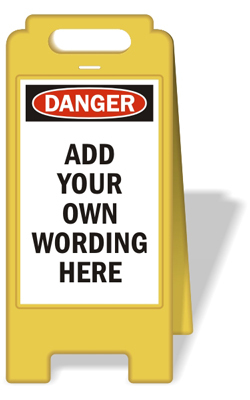 Add a funny, unmistakable warning message so everyone avoids slick areas. 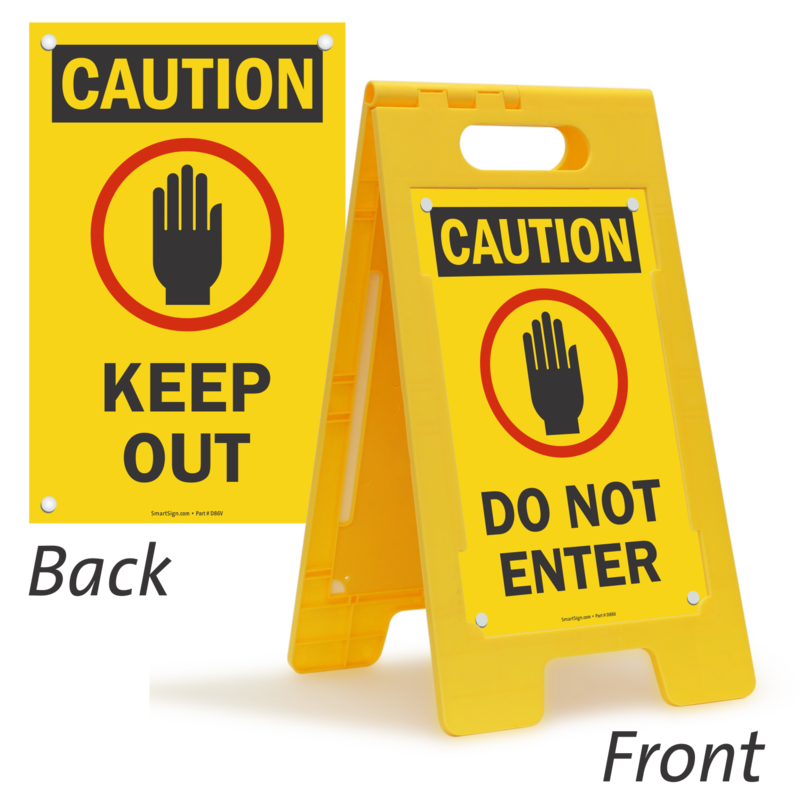 Search through our extensive inventory of in-stock floor stand signs. We offer over 100 designs. Need another sign in a hurry? Looking for another way to phrase your message? 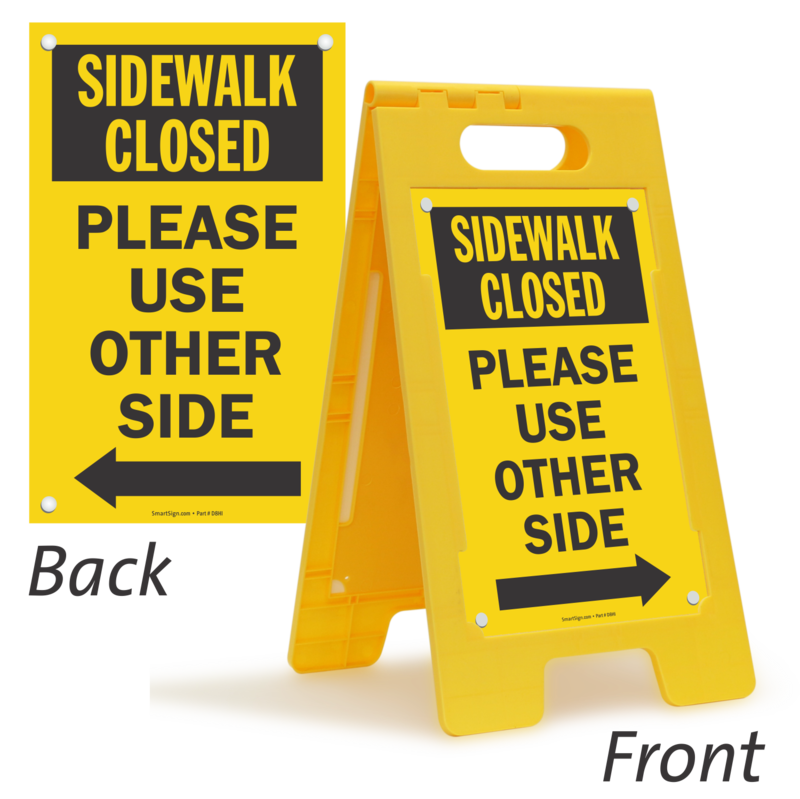 Ever wish you had one sign that would do the job of two? 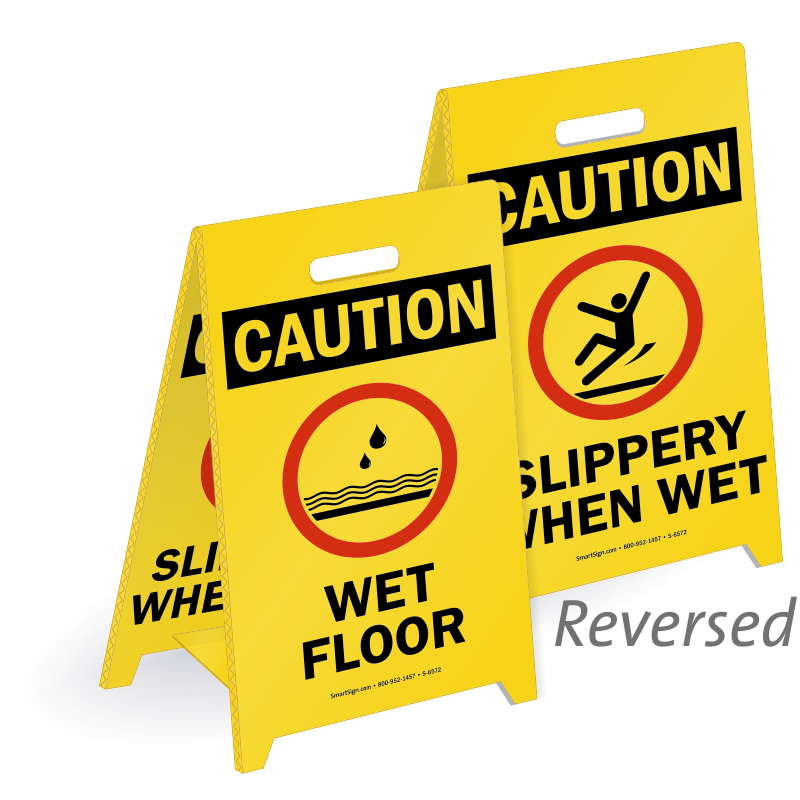 Well look no further, our Reversible Lightweight Floor Signs will have you wondering why you ever invested money in that raggedy floor sign. 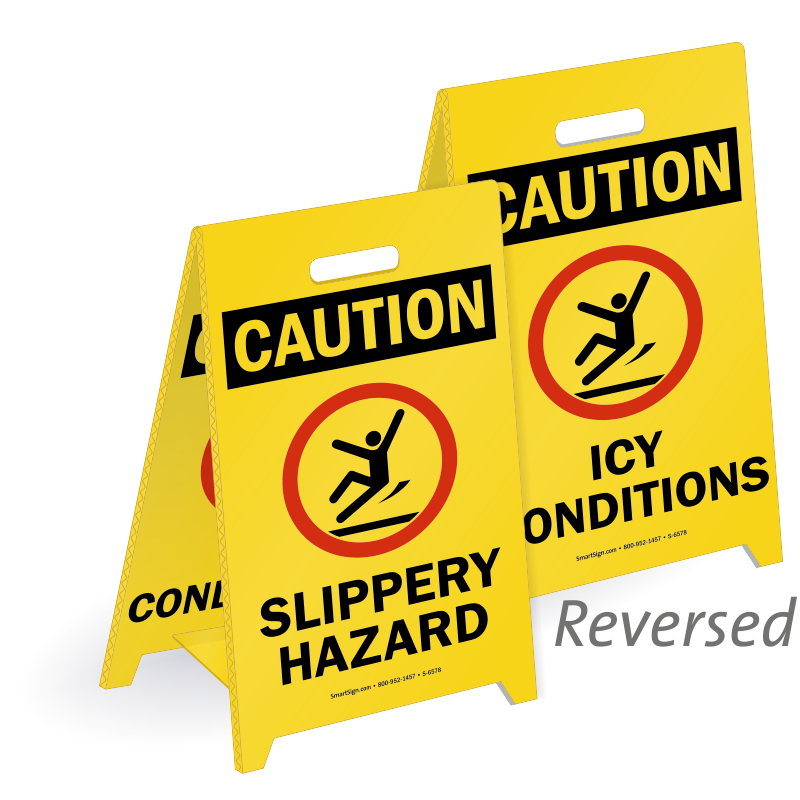 Reversible signs display two messages in one – for the ultimate in flexibility. 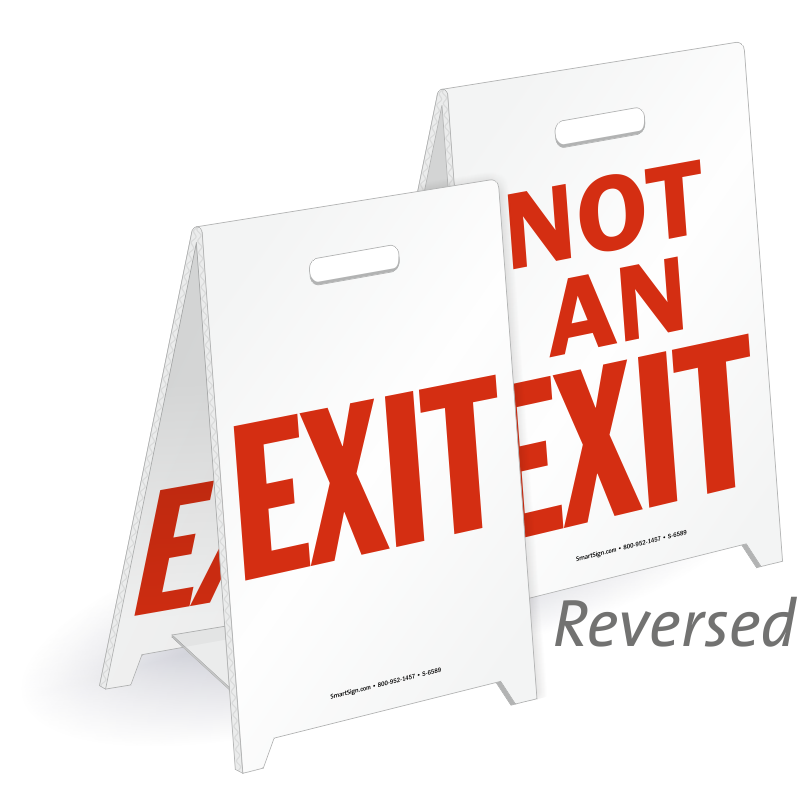 Simply invert the sign to reveal the hidden message on the inside. Lightweight and affordable, these signs are portable and can be replaced at a fraction of the cost of molded plastic signs – making it perfect for one-time use, while guaranteeing your message is always noticeable. 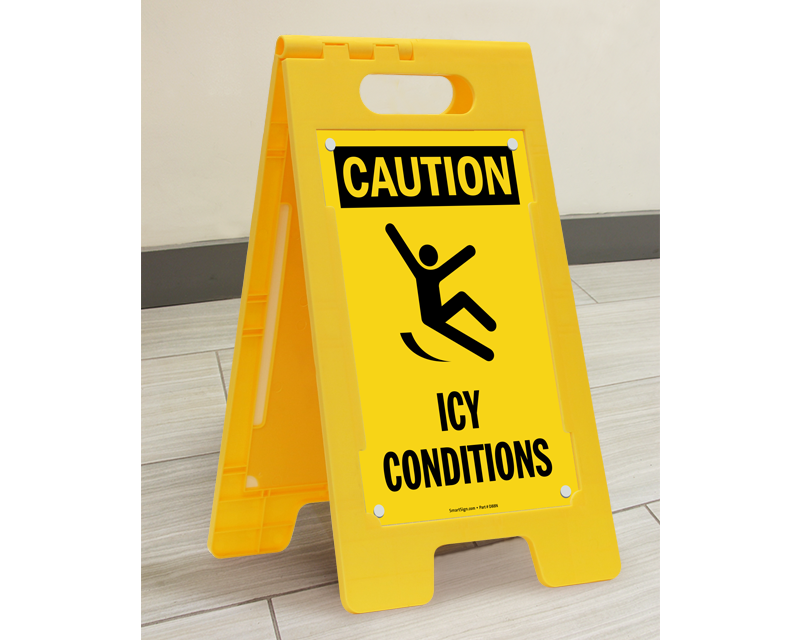 These signs are very nice and sturdy! I like that the sign can be removed from the stand. 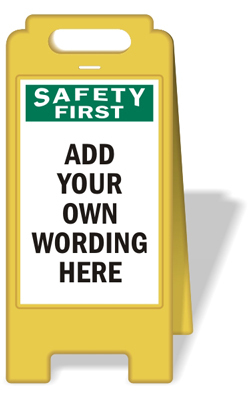 MySafetySign always does a great job and the fast shipping is a huge plus. 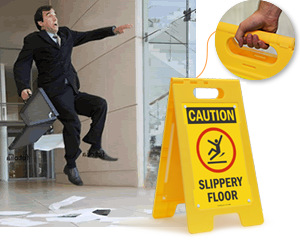 Fast delivery, professional service. 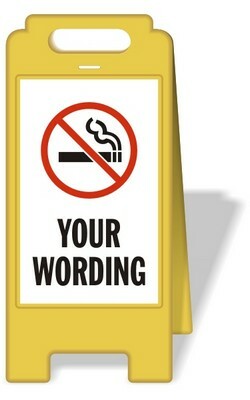 I will definitely reorder in the future.